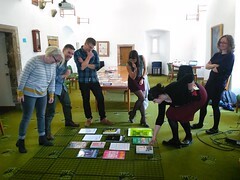 The whole team is busily beavering away, finishing up for the submission of both of our book projects for our final assessment – which will ultimately decide whether our books will be sent to our chosen printer, Bell and Bain!! We are all so excited for finally reaching this point, regardless of all the stressful days and numerous obstacles which have come our way – we are so close we can almost see the books!! When we look back on what we have managed to achieve: editing, financing, producing, negotiating rights and marketing TWO books in just 13 weeks – I can speak for all of us in saying how proud we are of ourselves and every member of our little Wednesday Team!!! In recent weeks we have been able to finalise so many things, from confirming the support of Cordelia Fine and Helen Sutherland who are providing a foreword and an author biography for one of our projects (GO Rights Team! 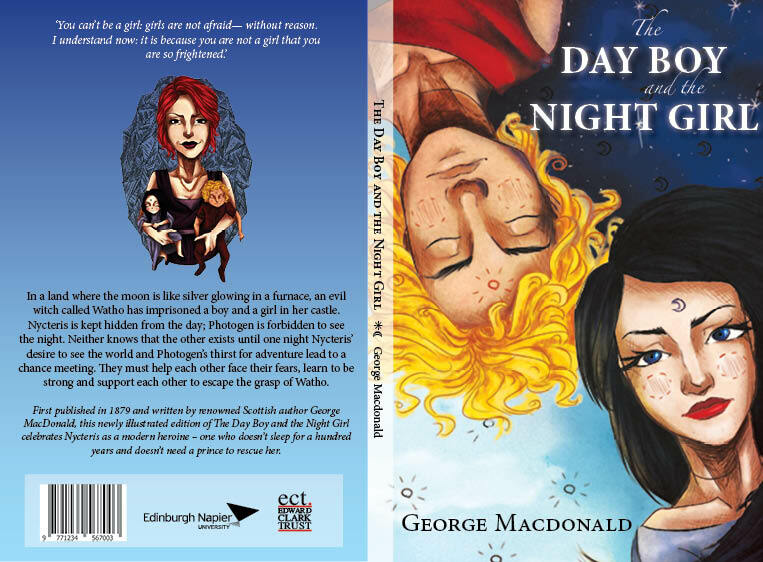 ), The Day Boy and The Night Girl – for more details check out our Project page: The Day Boy and The Night Girl – through to the production of the covers for both books, which are looking amazing. A big well done to our awesome production team!! 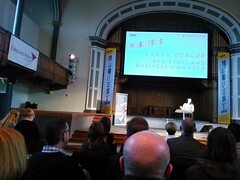 Collectively we have done so much to pull together and we have been able to achieve so much!! The Publishing Degree Show is coming up very soon and is open to the public from Friday 23rd of May until the 1st of June. You are all welcome to come along and see this year’s projects. 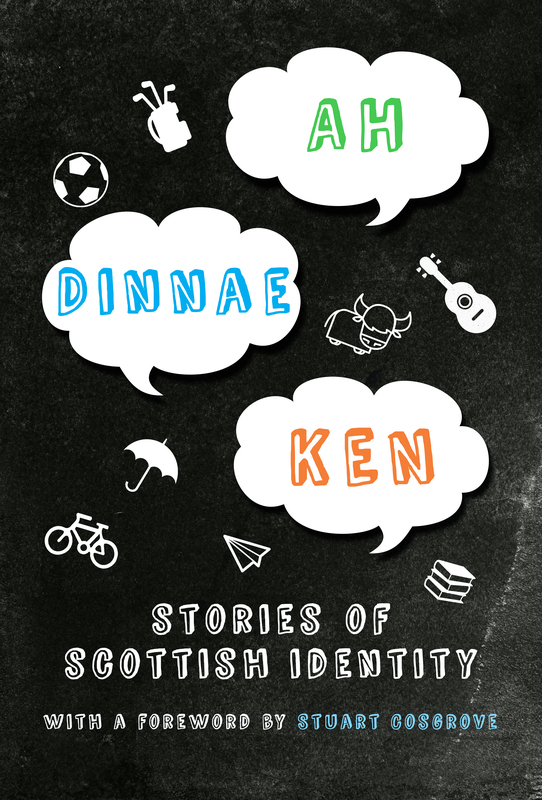 There are also opportunities for you to get involved and vote for our selected covers for Ah Dinnae Ken. There will be four to choose from and we would love to hear what you think about them and vote for the winner. We are also continuing to approach independent bookshops across Edinburgh and even researching retailers further afield; however, our sales are strongly dependent on your interest. Therefore, if you are really interested in getting a copy of our illustrated edition we would love to hear from you, and hear which bookshops are convenient for you and which you would be interested in purchasing from. 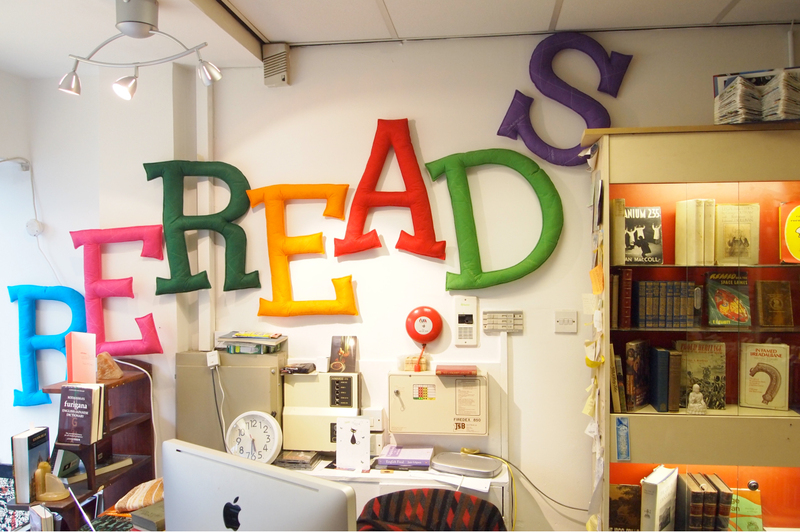 If we can find reassure bookshops of the interest that exists, we can create more sales and make them more accessible to you. Please send us a comment or a Facebook message if there is anywhere you are particularly interested in. Any bookshops interested in buying a number of copies please feel free to contact us also. 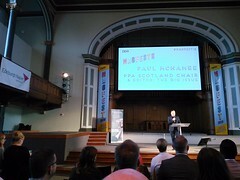 Author MaebhePosted on 07/05/2014 07/05/2014 Categories UncategorizedTags Ah Dinnae Ken, assessments, authors, books, bookshops, covers, design, Distribution, Masters, production, rights, The Day Boy and The Night Girl, universityLeave a comment on Bookie Updates: Submission Day!! So you can imagine how excited I was when the time came for us to chose an organisation to do our placement with. Excited and concerned. Concerned whether I’d be able to take full advantage of the work placement while not compromising my job by being absent during workdays, and at the same time meet expectations of the host company. 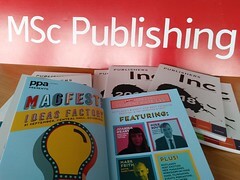 I was lucky I was given the opportunity by Teaching Fellows at Edinburgh Napier University to help them put together their March edition of Teaching Fellows Journal. They were very accommodating of my other commitments and let me work from home as long as I would manage to meet production deadlines. I soon realised I was more then lucky because the work proved to be very interesting. I was a full member of the production team, attending editorial meetings, encouraged to speak up my opinion on matters such as design and layout of the new edition, production schedule or production management. Moreover, my opinion was listened to and some ideas even implemented. As far as the production of the journal itself, I was working along with my course mate also undertaking his placement with Teaching Fellows, and our day to day tasks comprised actions from typesetting and laying out pages, to liaising with editors and proofreaders as well as printers to make sure the journal was progressing on schedule. 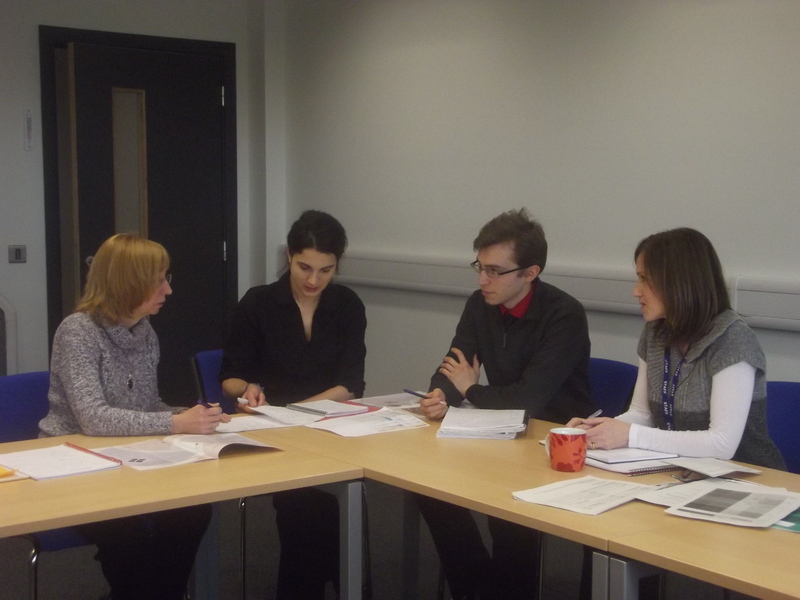 The placement with Teaching Fellows exceeded my expectations and settled my concerns. It was an excellent opportunity to apply relevant skills and knowledge in the work context. The amount of self-initiative we were given felt initially slightly overwhelming but made me to prepare myself to every task very responsibly, carefully evaluate my decisions, and be well organised. I’m grateful I was given a chance to work together with such inspiring people as the members of the editorial & production team of Teaching Fellows Journal and to fully contribute to the real project – production of tfj March 2012!